Sandusky photographer W.A. 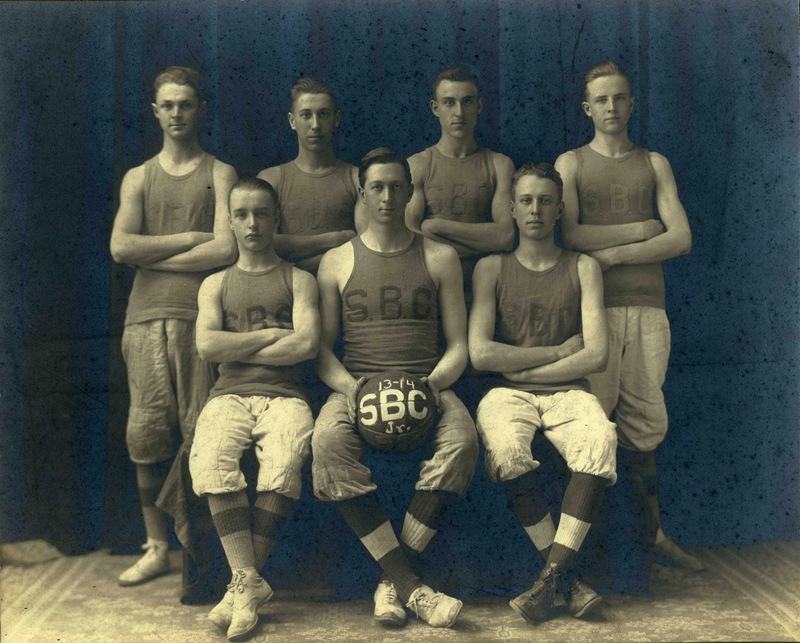 Bishop took two pictures of the Sandusky Business College basketball of 1913-14. The varsity team is pictured above and the junior varsity is below. Several individuals have been identified in the team picture of the 1920-21 Sandusky Business College basketball team. 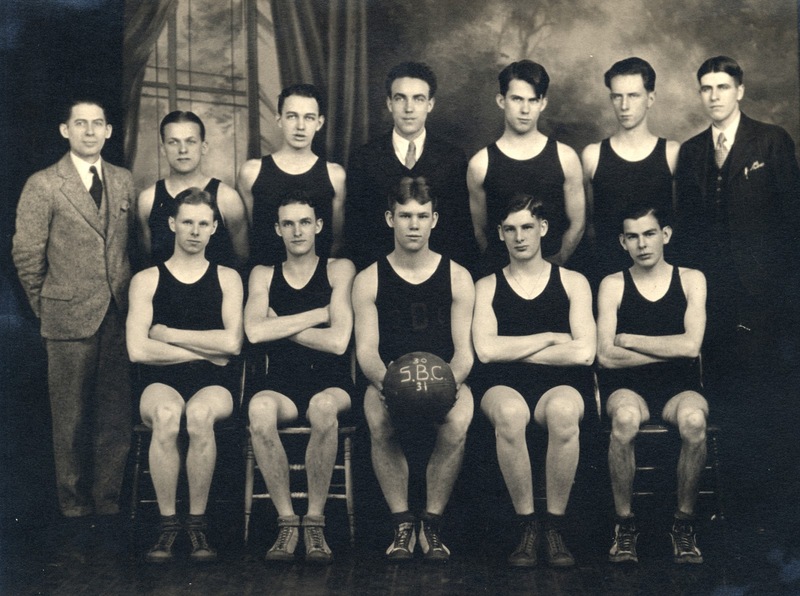 Seated in the front are: Willard Grathwol, Fred Meinzer and Art Wintersteller. 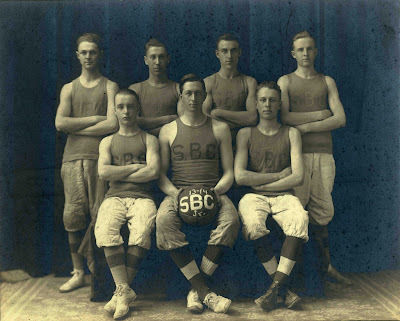 The second individual in the back row is W.O. Loudenslagel, president of the college at that time. Mr. Loudenslagel was once a student at Sandusky Business College, and later became an instructor. In 1918, he purchased the college, and he served as president until it ceased operations in 1949. 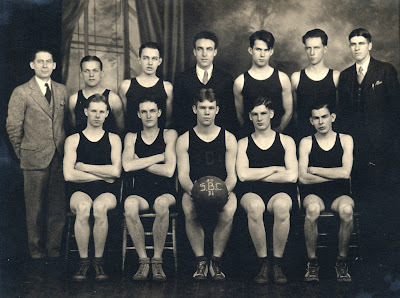 Harry Miller is also in the back row, but it is not known which of the other three men he is. 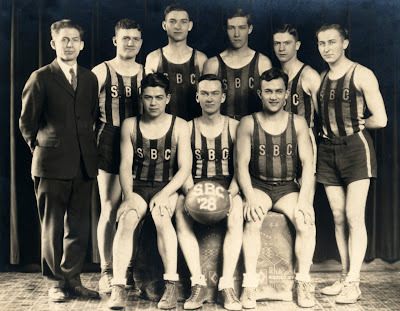 Below is the 1928 basketball team. 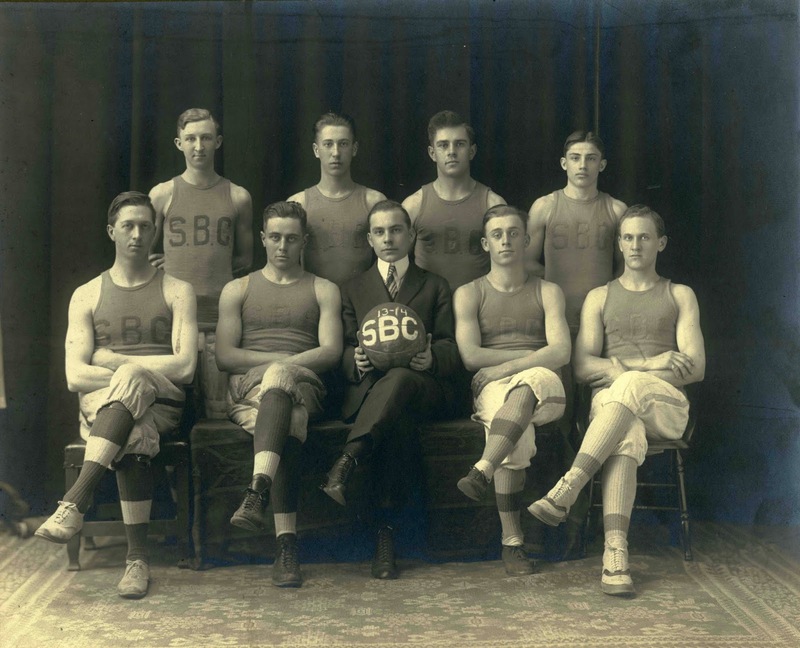 Though none of the students have been identified in this picture, President Loudenslagel is the man in the suit and tie at the far left. 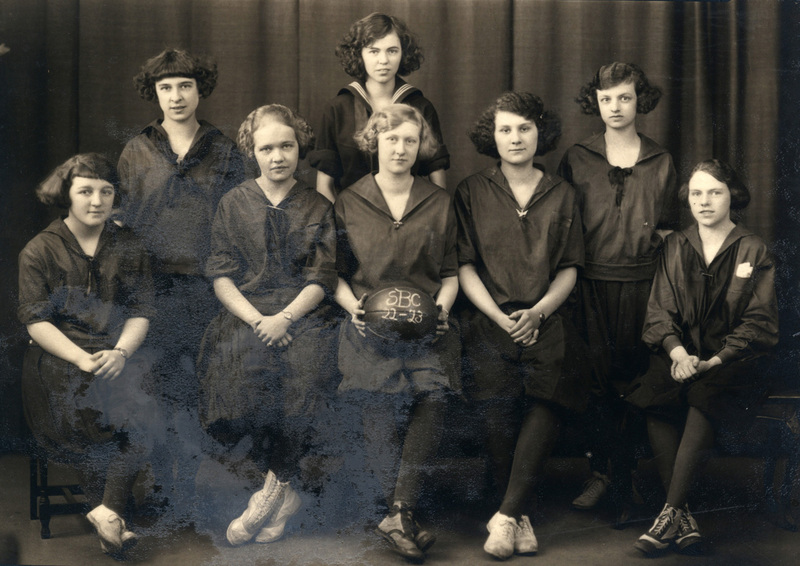 We have one photo of the women’s basketball team from the 1922-23 season in our collection; none of the women are identified, however. 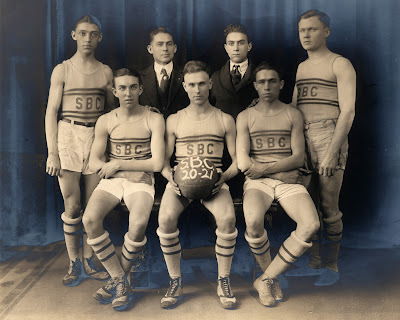 There are several names written on the back of the original photograph of the 1930-31 men’s basketball team of the Sandusky Business College. 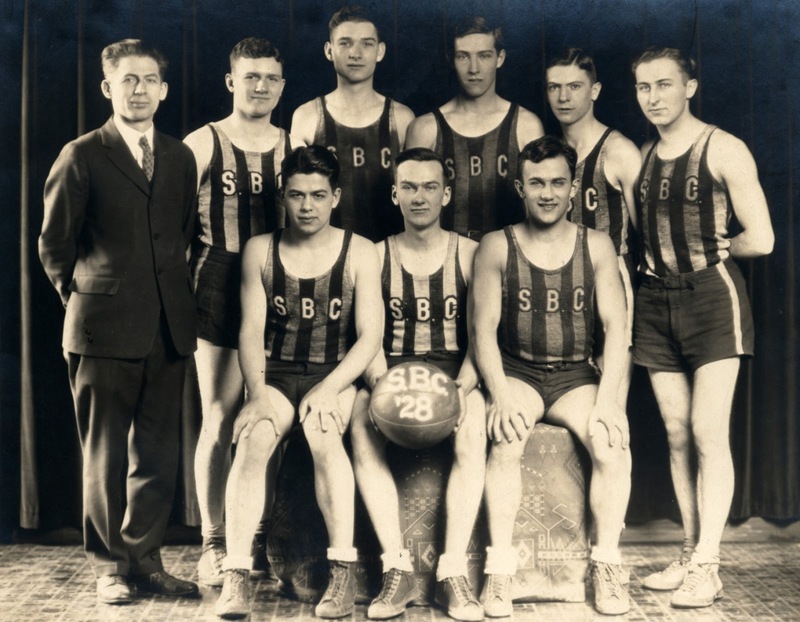 The team players were: Paul Scheid, Edward Hinde, Duane Rogers, Burrell Braver, Charles Zimmerman, Robert Smith, Abe Grathwol, Ralph Rhodes, James Kelley, Robert Holzmiller, and William Bluhm. W.O. Loudenslagel is at the far left of the picture. 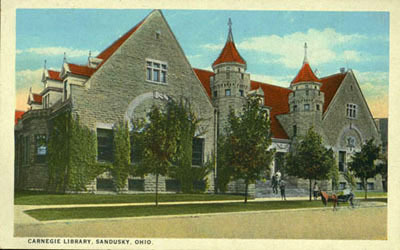 Visit the Sandusky Library Archives Research Center to learn more about the people and businesses who have made Sandusky and Erie County home.